Let’s face it. The daily grind wears on our bodies. But with the right skin care routine, you can glow like whoa year-round. Do your skin a favor and follow our 4-step guide to silky-soft goodness. Give your skin a fresh start. 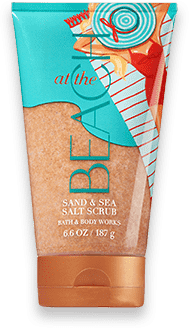 A winning skin care regimen starts with exfoliation – and a good body scrub. With it, you buff away dead skin cells and lift dirt from pores, paving way to smooth, touchable skin. Smooth the exfoliating scrub onto your skin in a gentle, circular motion for about 30 seconds. Rinse with warm (not hot!) water. Over-exfoliation can dry and irritate skin, so pace yourself. How often should you exfoliate? There’s no magic number (it depends on your skin type), but we recommend 1-2 times a week. The body goes into repair mode at night, making the best time to exfoliate first thing in the a.m.
They’re not all created equal. Dry skin loves a creamy, grainy exfoliator that moisturizes while it sloughs off dead cells. Normal, less finicky skin? Perfect for a medium or heavy exfoliator. Oily/breakout-prone skin prefers gentle, non-oil-based ones. Unsure which is right for you? We’d love to help. Just ask a store associate! Let the good vibes wash over you. We’re all familiar this step. But did you know there’s actually a right way to body cleanse? Here’s the best way to wash away dirt, sweat and everything else life throws at you! Looking for that so fresh, so clean feeling? Opt for a shower gel that hydrates as well as it cleanses! Wanna up your skin’s moisture game? 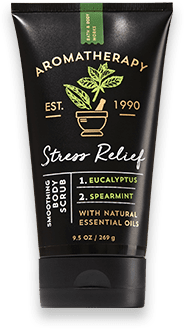 Grab a moisturizing body wash that does double duty! Whatever your preference, we’ve got plenty of options to help you get sudsy. Before you cleanse your body with bubbly fragrance, be sure to thoroughly rinse shampoo and conditioner. They can cling to your skin and clog pores! A long, steamy shower sounds amazing. But it can also cause dry, itchy skin. Turn the dial a few ticks to the blue to keep skin happy. A scented body wash has the power to whisk you away. It can boost your mood. It can even give you all-day confidence! Which one’s calling your name? Sometimes no matter how hard you try, life finds a way to steal the moisture from your skin. Weather, age, skin type, all of the above – it can all cause dry skin. A healthy moisturizing routine is key to tackling it. 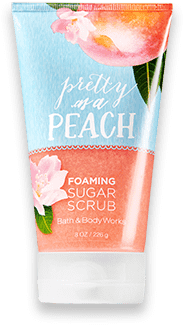 Body creams have a greasy reputation. We’ve worked hard to perfect our formulas with ingredients like cocoa butter, aloe and shea, so they melt into skin without the mess. 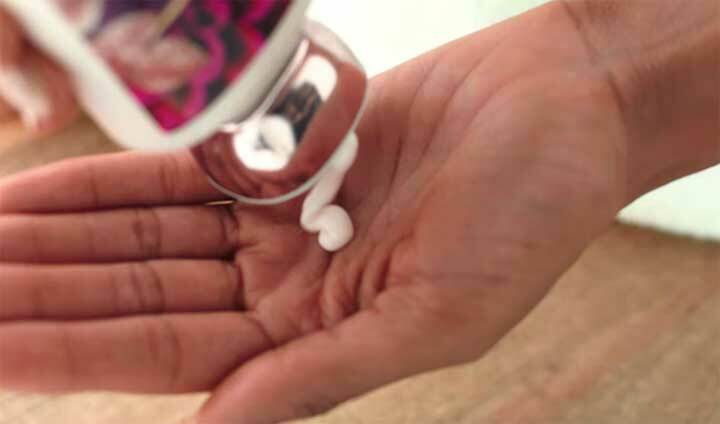 Let’s start with the basics – like what moisturizers do, followed by the difference between body creams and body lotions. By definition, the goal of any moisturizer is to hydrate and smooth skin. Thicker ones, like body creams, offer the benefit of all-day moisture and lasting fragrance. Because they penetrate skin and seal in moisture, they’re one of the most effective ways to prevent dry skin. Lightweight body lotions get to work right away, instantly leaving skin feeling soft, smooth and nourished. They’re great for warm weather, or whenever your skin needs a quick pick-me-up. 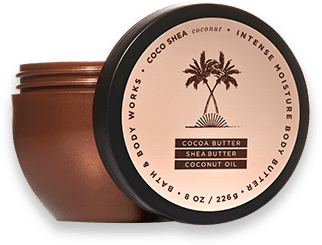 Similarly, our whipped and fluffy body butters – infused with goodies like shea butter and coconut oil – nourish and smooth skin in a flash. Spoiler: it’s right after you cleanse. Pat dry and slather it on! Because your skin’s still warm, the moisturizer will act as a barrier to lock in all the dreamy hydration. Look for these ingredients from nature that up the ante on moisturization and hydration. We know: the choices can be overwhelming. Dry, itchy skin? Smooth on some Ultra Shea Body Cream. Oily skin? 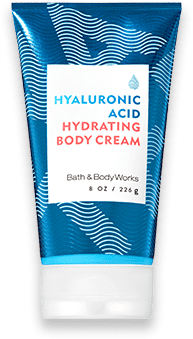 Hydrate with hyaluronic acid. Normal skin? Go classic with Super Smooth Body Lotion. Don’t know where to start? Head to your local store and ask an associate for a demo! Looking for all-day freshness? Spritz it up. No skin care routine would be complete without a body spray. Refresh and smell amazing wherever, whenever with a Fine Fragrance Mist. We’re obsessed with these fresher-uppers for so many reasons. They’re one of the best ways to freshen up all day long! Pro tip: For an unforgettable fragrance trifecta, match your spray, lotion and shower gel. Or, if you’re feeling adventurous – mix them up! Because damp skin absorbs moisture and nutrients better than dry skin, mists make your body lotions and creams even more effective. Oh, and they’re also amazingly portable. Bags, desks, carry-ons, cars – they go where you go. Now that you’re an expert, put all this skin care know-how to work.